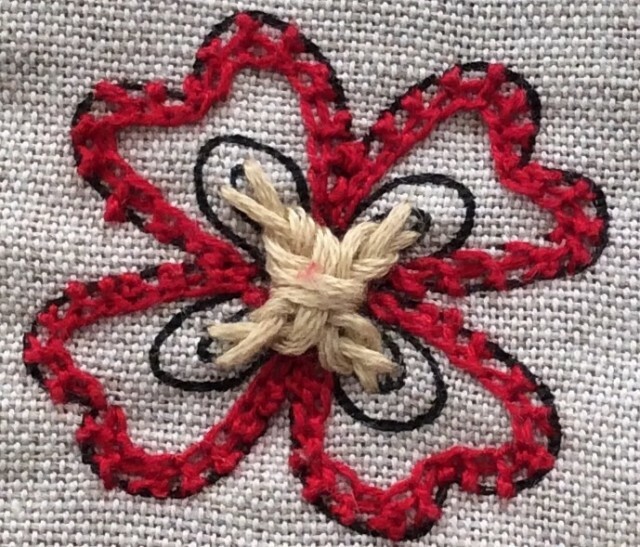 Triple Chain Stitch is a nice looking stitch, but difficult to fit my flowers and leaves. But I tried. 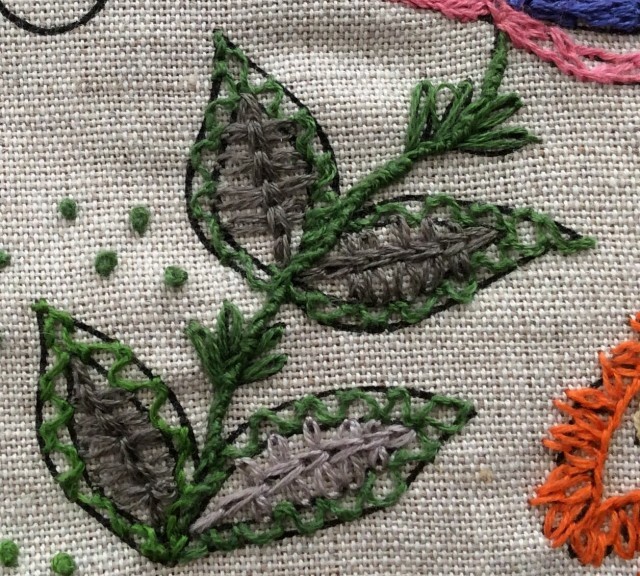 Feather and Chain Stitch is not a stitch for ”Paradise Flowers”. So I used it as a bakgrund stitch. 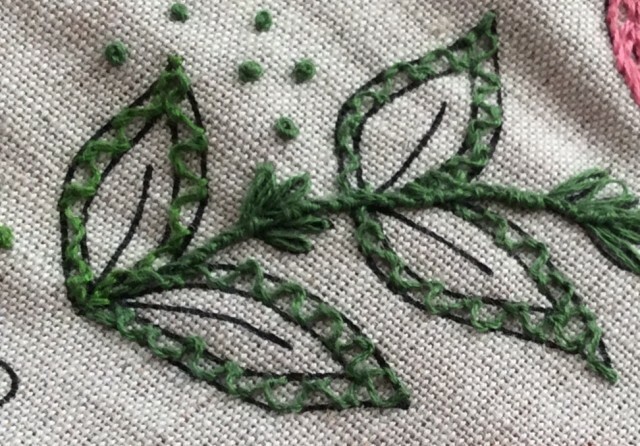 It is nice looking, gives a structure and is easy to embroider, a nice stitch for another project. 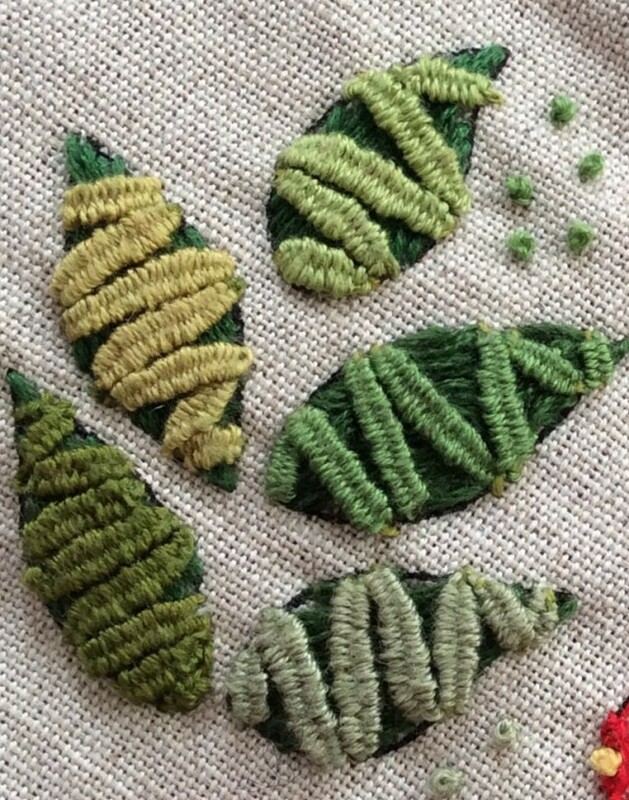 Leaves with Zig-Zag Coral Stitch. What to do to hide the black lines? 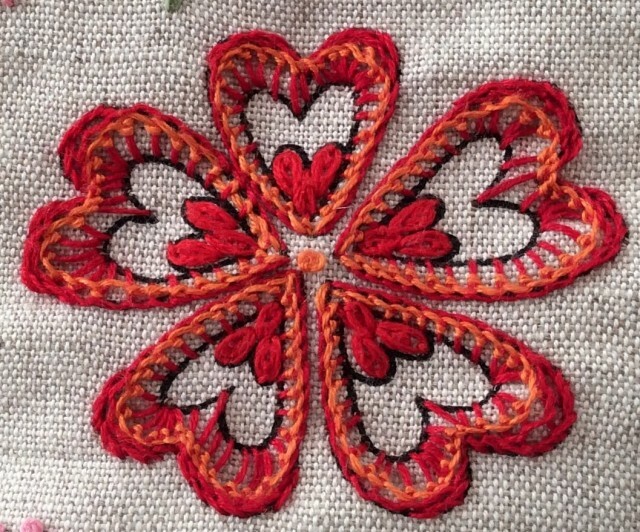 Portugese Stem Stitch is nice looking and easy to learn. 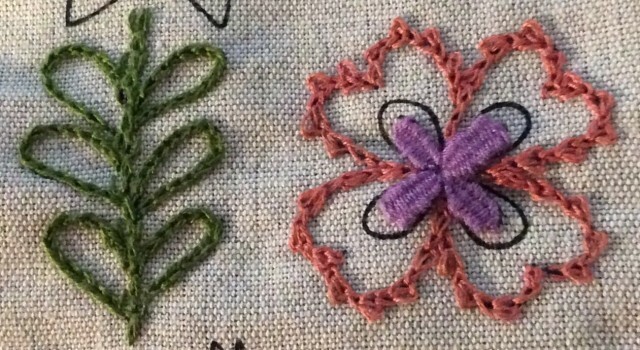 Use it in the same way as Stem Stitch if you want a strong line. 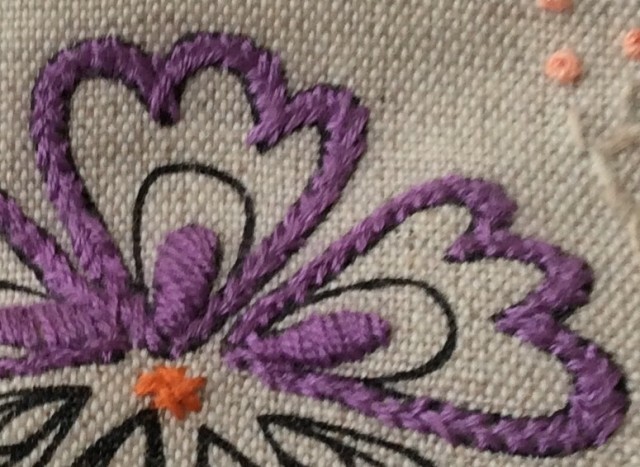 Crested Chain Stitch is not going to become a favorite stitch. It Is difficult to learn and very slow to sew. There are better stitches that fills the same purpose. I don’t even know if got it right when i tried. 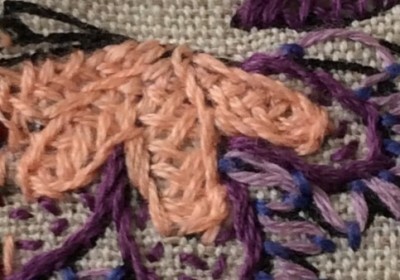 Closed Herringbone Stitch is just a very dense Herringbone Stitch. 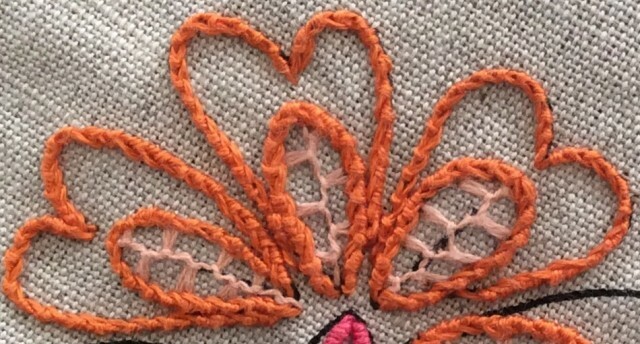 Linked Double Chain Stitch is not my favorit stitch. I don’t think I ever will use it again. But here it is, on a stem and the outline of a flower.